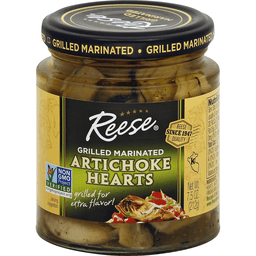 Reese Artichoke Hearts - Quartered - 14 oz. 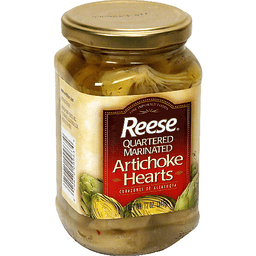 Reese Tender Small Artichoke Hearts - 14 oz. 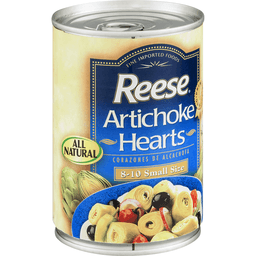 Reese Artichoke Hearts - Hearty Large - 14 oz. Non GMO Project verified. nongmoproject.org. 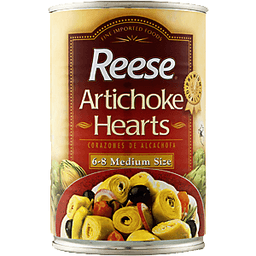 Grilled for extra flavor! 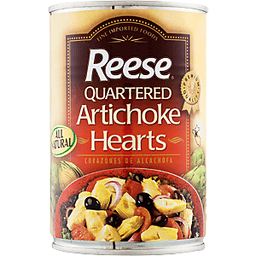 Reese quality. Since 1947. Product of Peru. 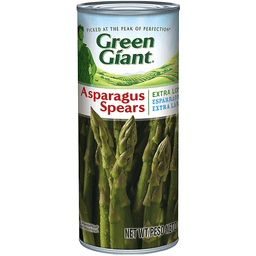 Fine imported foods. Grilled. Product of Peru. Reese Artichoke Hearts - Delicate Baby - 14 oz. 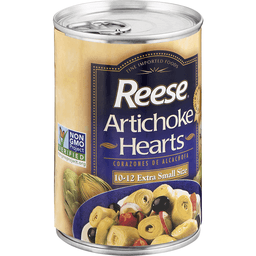 REESE DELICATE BABY ARTICHOKE HEARTS ARE A PARVE KOSHER, NON-GMO FOOD PRODUCT. THEY COME IN ONE 14 OZ. 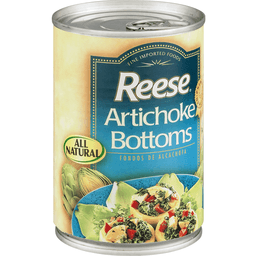 CAN AND ARE DELICIOUS ANYTIME. 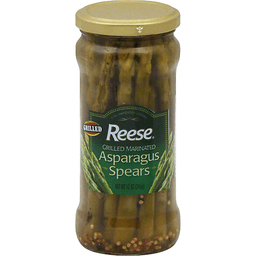 EACH SERVING PROVIDES 2 G. FIBER AND 1 G. PROTEIN, MAKING FOR A NUTRITIOUS SNACK. 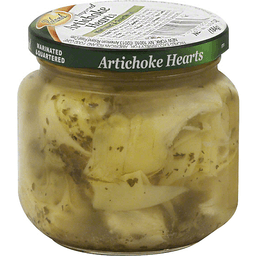 INGREDIENTS INCLUDE ARTICHOKE HEARTS, WATER, SALT AND CITRIC ACID, SO YOU KNOW EXACTLY WHAT YOU'RE GETTING IN EVERY BITE.